Gnats, particularly the biting varieties, are a serious nuisance during the warmer months. Though window and door screens keep out most insects, tiny gnats can slip through the mesh and infest sinks, pet water bowls and moist soil found in houseplants. Gnats quickly establish swarms in kitchens and bathrooms, causing a significant source of annoyance. You can control gnats with various aromatic plants and products made from their extracts. Lavender is a lightly scented shrub widely used in incense, perfumes and laundry detergents. You can repel gnats with dried lavender flowers and stalks wrapped in sachets or lavender-scented candles and sprays. Citronella grass is a South Asian grass used to make insect-repellent, citronella candles, lotions and sprays. Citronella products used to control mosquitoes will also repel gnats. 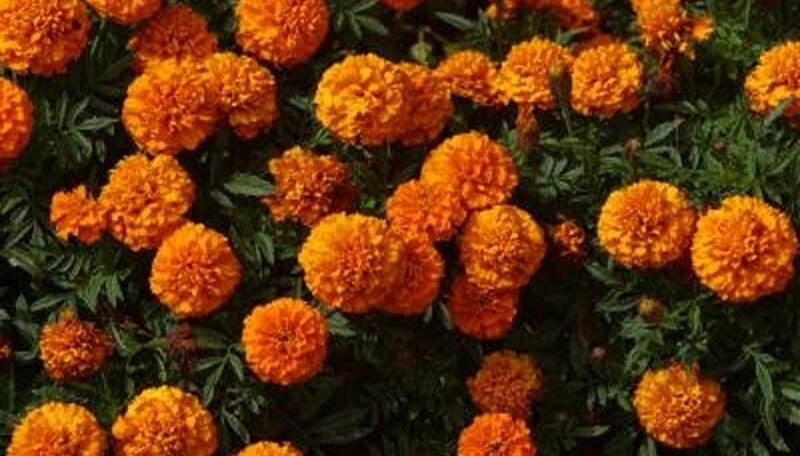 Marigolds are annual, flowering plants with bright, attractive orange blossoms. The flower's light scent is offensive to gnats, mosquitoes and aphids, but some humans dislike its aroma as well. If you don't mind the scent of marigolds, you can grow marigolds to ward off several garden and indoor pests. Lemon rose and lemon balm both have lemon-scented leaves that repel gnats and mosquitoes. These two plants, along with citronella, contain a compound called beta-citronellol, used in several commercial insect repellents.